I have logged into your account to check, and it seems that your Recipient field is empty in Business Registration Form. When it comes to your Email Sign-up Form, it seems to be correctly set up to send an email to your current/default account email address. 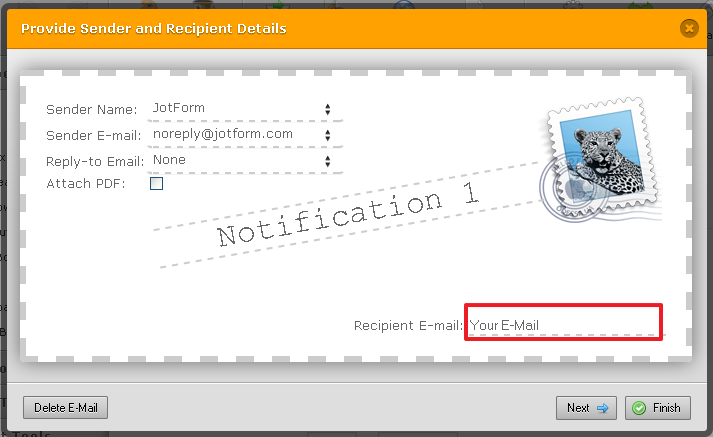 If you would like to change the recipient email to another email address, please simply edit the Recipient E-mail field to have the new email address in it. After changing the address and saving your form, you can test your Email Notification by making a submission on your form, and checking the inbox of your newly set up recipient address to see if you have received the email.